You may be thinking, “Wait—why would I ever want to refer a customer, potential or otherwise, to a competitor?” Good—this article’s for you. In fact, there are two such situations. One won’t surprise you. The other is even more obvious—but even easier to miss. It’s not as dumb a question as it sounds. Competitors are those we compete against; what we win, they lose, what they win, we lose. That certainly means we don’t want to lose direct competition. But as the idea of competition has become like mother’s milk in business, we tend to take it one step further: we want to prevent competitors from winning, even if we’re not directly involved. So: we hate to lose, and we hate to see them win. Two distinct reasons we don’t give referrals to competitors. The Gospel of Competition says that the whole point of business, including selling, is to win. The business strategists tell us that key to being successful is being number one or number two in your business. The football strategists tell us winning is not the main thing, it’s the only thing. The military theorists tell us the enemy of my enemy is my friend. The problem with the Gospel of Competition is that, taken to extremes, it competes with the Gospel of the Customer. The Gospel of the Customer says that the whole point of business, including selling, is to help the customer. If you succeed in doing that, then most likely you will also ‘win’ in the competitive market place. Though if those two goals come in conflict, you’ve got a serious problem. What if the right thing for the customer involves helping your competitor? That turns out to be a serious question of business identity. The most obvious referral to send to a competitor is a very difficult customer. If you worship the Gospel of Competition, you can justify this on the grounds that it gets rid of a problem for you, and causes a problem for your competitor. Machiavelli would be proud. But there’s a better reason for doing this—if you believe in the Customer Gospel. If you believe the Customer Gospel, then you believe in relationships and trust, and the economic benefits for all that come about through collaboration and transparency. A difficult customer for you, then, is likely to be a customer that doesn’t believe in those things. And a competitor for you is probably a competitor who also doesn’t believe in those virtues, at least not as much. In that scenario, you do all three parties a bit of a favor, though you perhaps the most. You align transactional sellers and buyers, while focusing on relationship customers yourself. You gain competitive advantage—but everyone’s at least a little better off. That’s good. The more—or less—obvious situation is when your competitor actually is better suited to serve the customer than you are. Then what do you do? In this case, not only do you lose a sale (maybe), but you lose one to your competitor. If it’s an existing customer, you risk giving your customer exposure to a competitor—risking them leaving you forever. 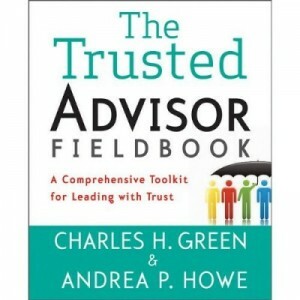 Because if you would never, on principle, give a lead to a competitor—even if they are better suited than you—then you cannot be trusted; you have just said, in principle, that you would always put your own selfish interests ahead of those of your customer. 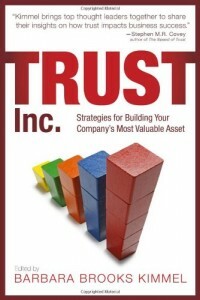 What’s at stake is your trustworthiness. It depends heavily on your willingness to take the long view, and focus on your customers’ needs ahead of your own—rather than continually trying to gain competitive advantage at every transaction. And–paradoxically—in the long run, you probably end up getting the competitive advantage as a collateral effect anyway.